A few years ago my father was fortunate enough to participate in a fishing trip in Alaska. The target fish was red salmon, also known as sockeye salmon. 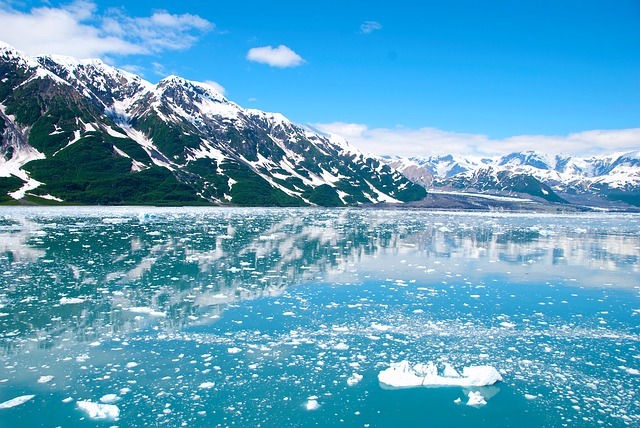 I have always wanted to do some fishing in Alaska and have not been lucky enough to go yet. However, he brought me back some of the filets from the fish he had caught along with stories of how hard they fought. He also warned me about their elusive nature. I cannot talk enough about how different this fish was from the salmon you buy in the grocery store or even at the best restaurants. The meat was like butter, and it seemed like it was the best fish I had ever eaten no matter how I prepared it. My father gave me several pounds, but it was all gone within a few days. I have been obsessed with this fish ever since. One thing that can be said about fishing for sockeye in Alaska is that it is always a special occasion. I am sure they are out there, but I do not know anybody that would be content coming back from an Alaskan fishing trip empty handed. This makes it that much more important to have a plan for success. Below I will list some tips and tricks to help you have a great trip if you are able to head north. It is not uncommon for anglers to spend all day casting their favorite salmon lures with zero action. It is also not uncommon for the person next to you to catch their limit in just a few hours. To understand this quandary, you must understand the motivation of sockeye. Sockeye feed entirely on plankton making them the only Pacific salmon variety that are not true predators. That changes things, does it not? Most salmon lures and bait are meant to entice the predatory nature of salmon. They shimmer to look like minnows or bounce around to look like other small aquatic animals. However, you might be surprised to learn that sometimes a bare hook is the best option for sockeye. This technique is called lining and it plays more on the spawning instinct and oxygen requirements of salmon. 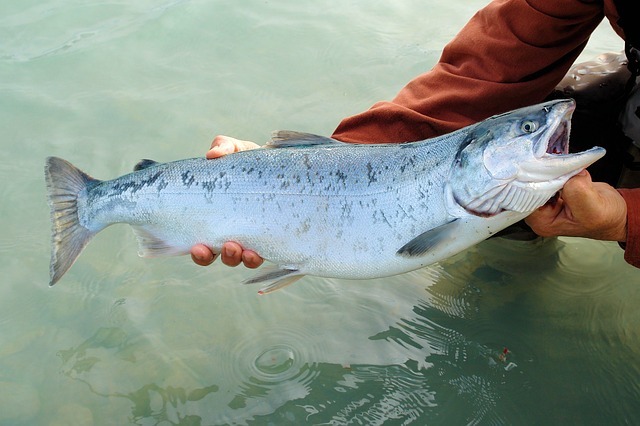 Sockeye have one of the strongest spawning drives of any fish. They leave the deeper waters to push up feeder streams at incredible rates. It is not surprising to see these fish travel 50 miles in just one day. Even streams only a few feet wide can turn into a salmon traffic jam during the peak of the spawn. This is what gives anglers the best opportunity. I do not want to make it sound too much like a good catch of sockeye is luck, but in some ways you have to make your own luck. You are going to be catching these fish in shallow, crystal clear streams. This means you can see the fish before you ever cast a line. If you fish during one of the two runs in mid-June or late July, you are already ahead of the game. These streams will easily see over one million sockeye during just these few weeks. In addition, be smart about where you fish. Look for the highest concentration of fish, but also think about how much competition you have. The most popular streams will have both banks lined with anglers. This is actually where the term “combat fishing” was coined. You may be best to hike further than your competition to get to quieter waters. Probably the most important factor to catching sockeye is your presentation. You can stand on the shore during the run and pick out the experienced anglers as they cast virtually the same way every time. Some will tie a small piece of yarn or a float to their hook, but most just use a bare hook with a leader and a weight. All will be using 20 to 30 pound test line to ensure the majority of the fish make it to shore. Be ready for a fight. In these swift waters, the amount of weight is key. You may have to adjust several times to find what works best in this swift water. Your goal is to smoothly drag the weight across the bottom where the fish will be cruising. Your hook or fly should be three to five feet from the weight, and your leader should be retrieved running less than one foot from the bottom. This is a unique strategy that works only for sockeye. These fish require a higher level of oxygen than most fish. As they cruise upstream just scraping the bottom, they open and shut their mouths at a rapid pace to move more water through their gills. When you have mastered your technique, the leader will hit them in the mouth and the current will hold it there. As the fish panics and swims upstream, the leader will slide across their mouth until the hook is set. To get the right motion out of your leader and hook, the cast must be done correctly. On small streams which are two to five feet deep you should stand on the shore. Sockeye are known for staying within five feet of the shore, so this is your target area. You want to flip your line upstream just enough so that the weight hits the bottom before it is pushed downstream past your position. You will then smoothly reel in the rig with the weight just clipping the rocks on the bottom. Your retrieval should be almost straight across from your position, or perpendicular to the flow of water. The sockeye is one of my favorite fish for a few reasons. They are a beautiful fish, and of course delicious. However, they are as unique a fish as you will ever find or pursue. 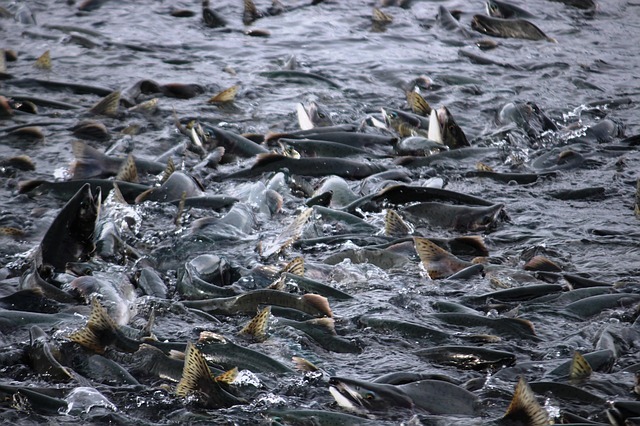 They eat only plankton unlike all other pacific salmon. They are the strongest and most aggressive fighters of any salmon. They can easily travel hundreds of miles in just a few days. Most of all, they force me to learn a fishing technique that I would never use on another variety of fish. This is where I feel the joy of fishing. I love trying something new and taking on my next challenge. I genuinely hope you will have a chance to pursue these wonderful fish.